Functional Rehabilitation and Weight Training Can Improve Your Performance and Decrease Injuries. Working with Dr. Daniel Cordero can help you run longer and lift stronger. Not only is Dr. Cordero a chiropractor, he also is an athlete with a degree from SDSU in Kinesology. Kinesology is the scientific study of movement which addresses physiological , bio-mechanical, and psychological mechanisms of movement. He is certified as a personal trainer, strenght and conditiong coach, and functional rehab movement specialist. 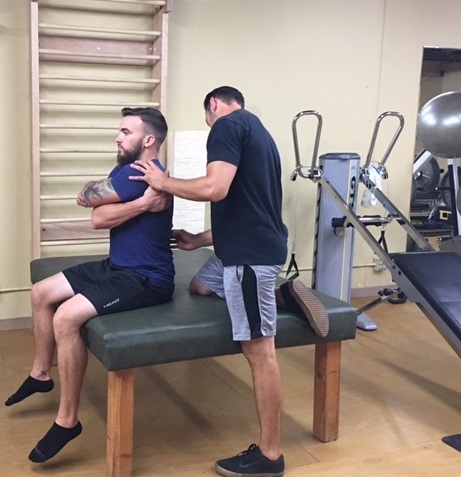 Dr. Cordero can assess your movement patterns and areas of pain, to determine a plan for correcting postural imbalances and develop a strengthening program specifically for your needs. With your body in proper alignment, you will run longer, lift stronger and have less injuries. Dr. Corderos adjustments are different than your typical chiropractor. You can expect to have a thorough examination and health history done during your initial visit. Once your information is gathered you will be asked to do a variety of movements to access your body in motion. Dr. Cordero will do adjustments as needed and may have you repeat the movement to assess range of motion. His background in sports, fitness, allows him to treat musculo-skeletal conditions making him more of a movement / exercise physician. His style of treating injuries and pain is different than the majority of his peers. Dr. Cordero assesses the injury and the rest of the body to find the anatomy contributing to the injury. He does not just treat the site of pain, he investigates the bodies movement capabilities to find the cause of the pain. 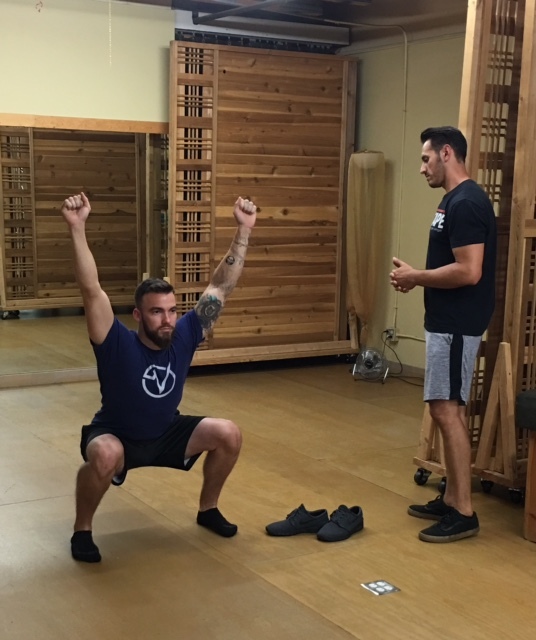 Once compensations in muscles, joints, and movement patterns have been found, a program is developed to restore the compensations to optimal performance. Unlike most chiropractors, movement and exercise is a large portion of Dr. Cordero's treatment plan. When you come in for a treatment, expect to do work by doing functional or athletic movements. Playing hard can leave you with sore muscles and stiff joints. Making sure you are lifting correctly, and your alignment is correct, is important in preventing injury and increasing performance. All fitness levels can benefit from Dr. Corderos style of treatment or approach to exercise. Dr. Daniel Corder is now accepting appointments for Chiropractic, Personal Training, Kinesio Taping, Functional Rehabilitation, and Myofacial Release at Envision Personalized Health . Additional services available at Envision Personalized Health include acupuncture and massage therapy.